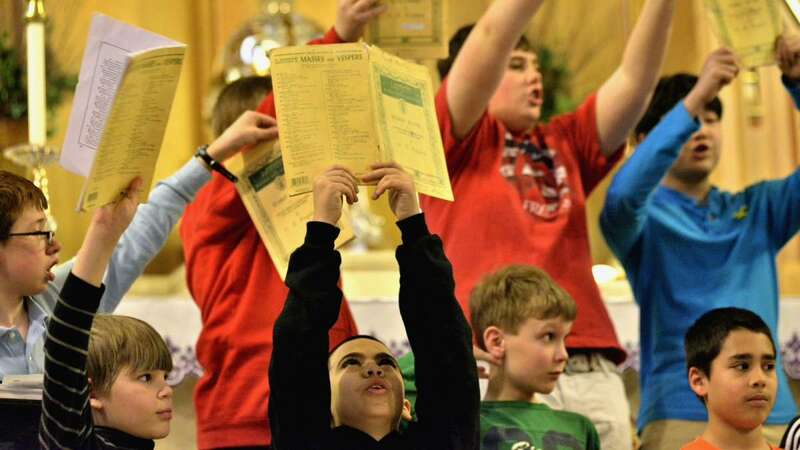 “Does anyone know what the word ‘rex’ means?” shouted Tom Windfelder, the longtime director of the Archdiocesan Boy Choir of Philadelphia (ABC). “King,” responded many of the boys in unison. “It doesn’t sound very majestic to me,” retorted Windfelder. 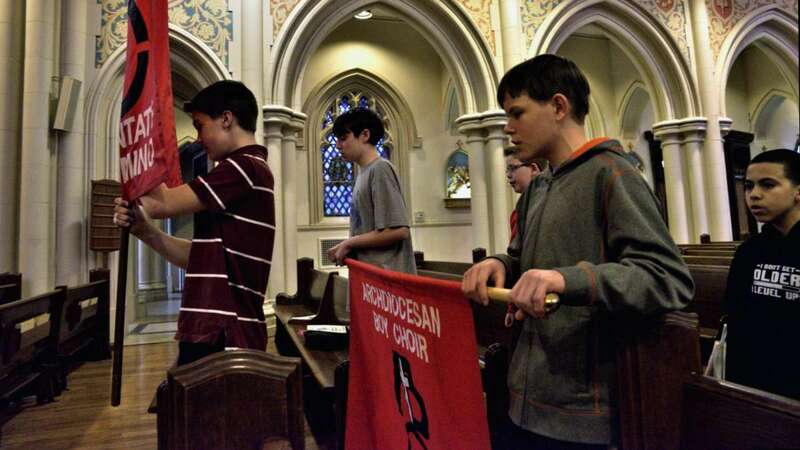 Windfelder was mid-rehearsal last weekend, preparing the group of youths standing across the altar at St. Bridget Church in East Falls for the choir’s Palm Sunday performance which will be held there at 3 p.m. Sunday. Under Windfelder’s command the boys began to sing again. 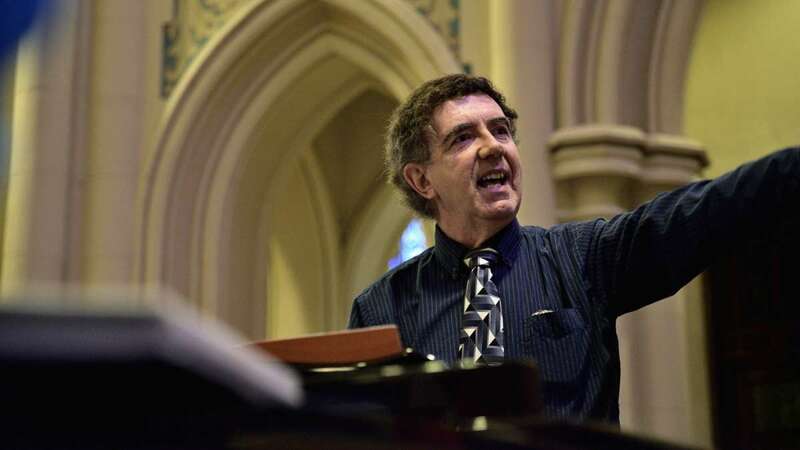 In between the rush of the cacophony of voices that rose up to the church’s vaulted ceiling, Windfelder continued to teach and coach his singers the way a basketball coach might stop his team in the middle of a weave drill to point out a few details. “The acoustics can work against you sometimes,” Windfelder noted. “Get where I put you, people!” he said a moment later to a choir that is less than 10 yards away from him. On hand for the rehearsal in East Falls was Amy Rote, a Northern Liberties resident whose 12-year-old son Franklin sings in the choir. “It’s a big commitment,” she said of practices held every Tuesday and Saturday. It’s also a big commitment for Franklin, who willingly sacrifices some of his free time, as well as his parents’, who are among dozens who provide transportation for choir members. Dave Martinez is a 29-year-old from Northeast Philadelphia. 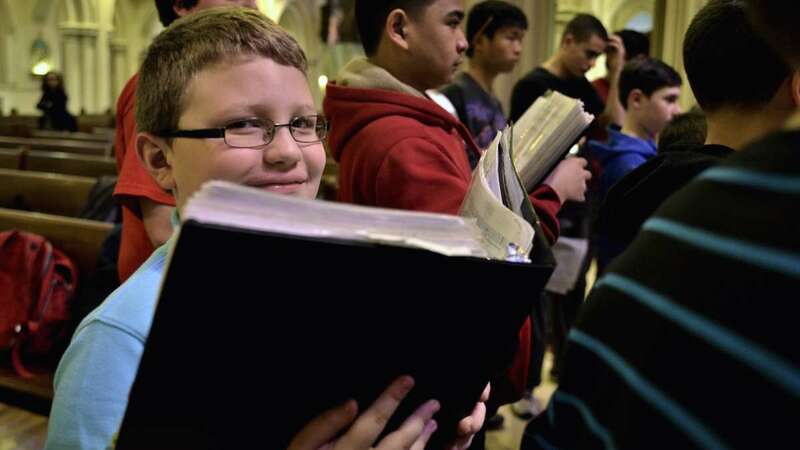 His 10-year-old namesake son sings in the choir, just like his dad did way back when. As young boy, Martinez Sr. followed in the footsteps of his two older brothers to sing in the ABC. So why did his son want to join? “Because my dad was in it,” David Jr. said, shyly as he held onto his father’s leg, little brother Nathan, 3, by his side. Then, there’s Bill Dierkes, 55, of Haddon Heights, NJ, and Pip Gardner, 47, both fathers whose sons have all come through the choir. Dierkes’ youngest son started with the ABC in the early 1990s. His fourth son is seven; when his voice is ready, he will join as well. All three of Gardner’s sons have sung in the choir too. 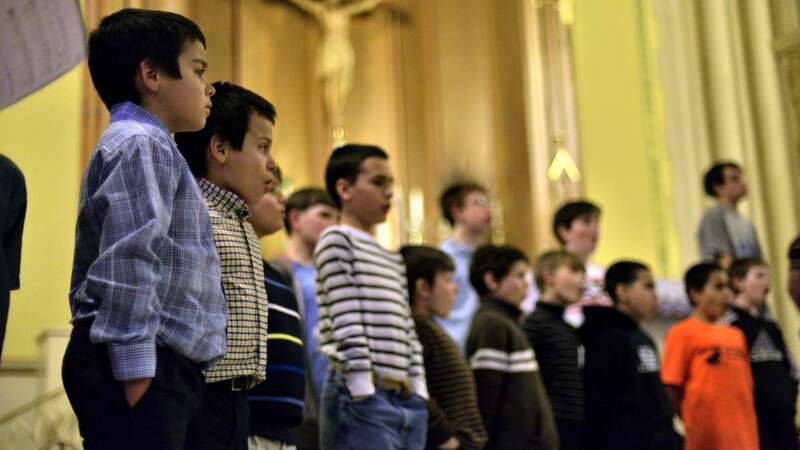 The fathers, who have known each another for years, participated in last Sunday’s rehearsal because the ABC choir holds an annual concert in which alumni and parents can join the boys. “It’s a chance to sing with your son,” said Gardner. If family and commitment is a thread which runs through the ABC, so is “Mr. Tom” Windfelder. 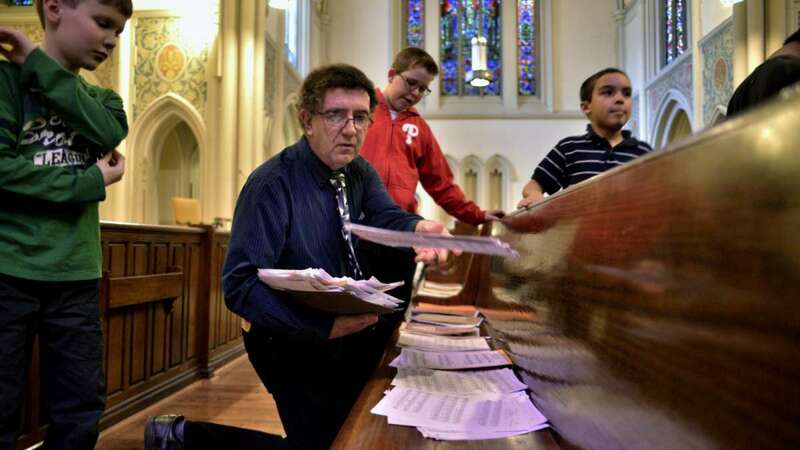 A music teacher at St. Peter the Apostle School in Northern Liberties, he encouraged Franklin, David Jr. and many others to join. He was also Martinez Sr.’s teacher and choir leader. 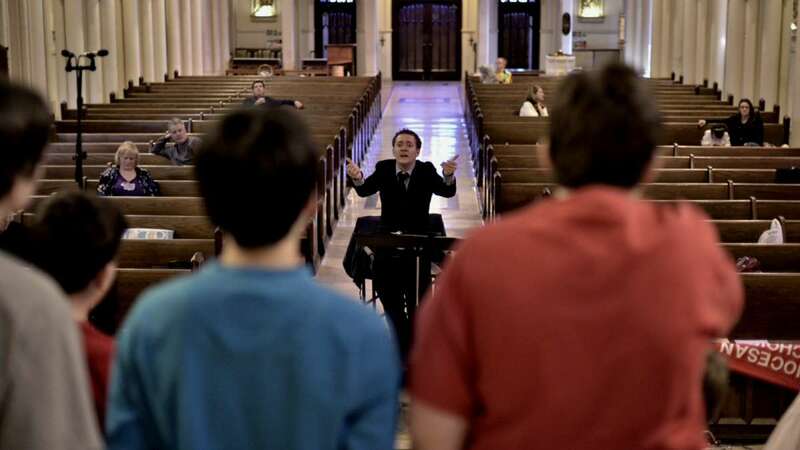 What has kept Windfelder’s interest over more than 25 years (besides the monumental sound of a boys choir)? “Getting those kids to do what I never thought they could do,” said Windfelder. He said he never turns aspiring singers away; rather, he talks to boys who don’t make the cut, and their families, about steps they need to take to join. 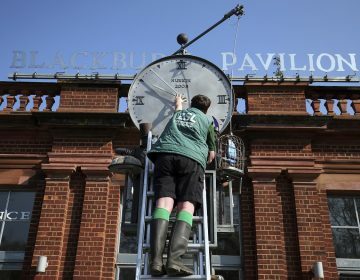 The Palm Sunday concert will be a two-part event featuring music sung in Greek, Latin and English. 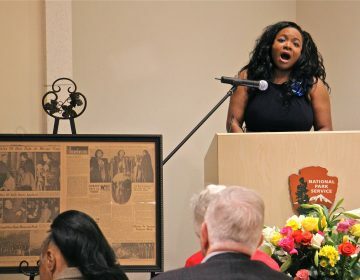 The second part will include joyful songs, as well as a few American spirituals. 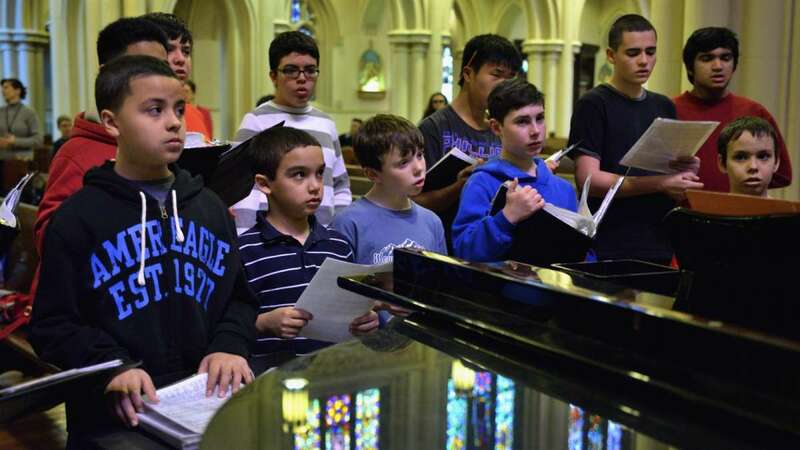 For more information about the concert at St. Bridget Church, 3667 Midvale Ave. in East Falls, visit archboychoir.org.